The TWG Fabrics & Home Decorating Center is kicking off its Fall Home Store Savings Event. 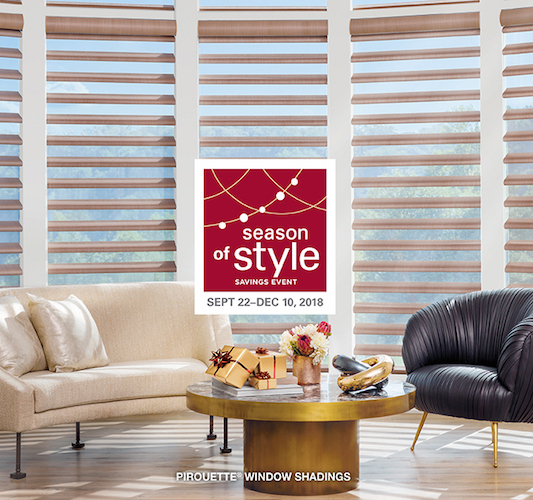 Since autumn is the season when family and friends gather for the holidays, TWG Fabrics & Home Decorating Center is offering big savings on *select Hunter Douglas blinds ’til 12/10/18 and 25% off all fabrics ‘til December 21, 2018. Create a welcoming atmosphere by updating your home décor this fall before the holidays. 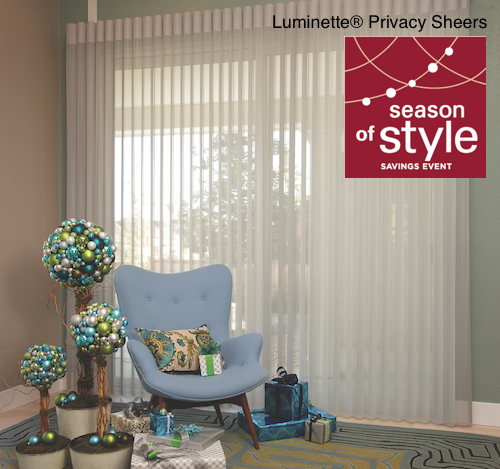 Purchase 1 Hunter Douglas Luminette® Privacy Sheer to receive $100 rebate, plus $100 rebate for each additional unit. Obtain the look of beautiful sheer drapery, with vertical fabric vanes that rotate to provide unlimited light control and privacy options. 2 Hunter Douglas Pirouette® Window Shadings to receive $100 rebate, plus $50 rebate for each additional unit. Soft horizontal fabric 3-dimensional vanes float on a sheer backing. Providing infinite privacy and light control options. 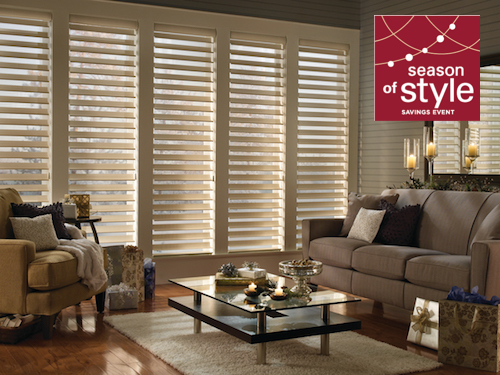 2 Hunter Douglas Silhouette® Window Shadings to receive $100 rebate, plus $50 rebate for each additional unit. The S-shaped vanes appear to float between two sheer panels to create an elegant shading and ethereal beauty. 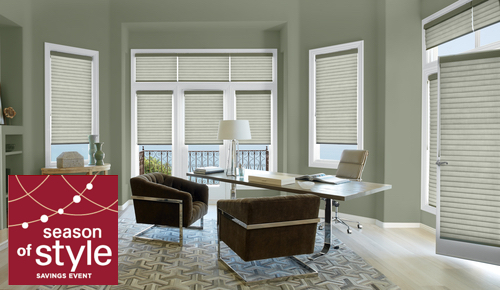 2 Hunter Douglas Vignette® Modern Roman Shades to receive $100 rebate, plus $50 rebate for each additional unit. A modern Roman shade with contoured or flat-fabric folds. No exposed rear cords to enhance pet and child safety. 4 Hunter Douglas Duette® Honeycomb Shades to receive $100 rebate, plus $25 rebate for each additional unit. The unique honeycomb design traps air to keep your windows insulated all year round. 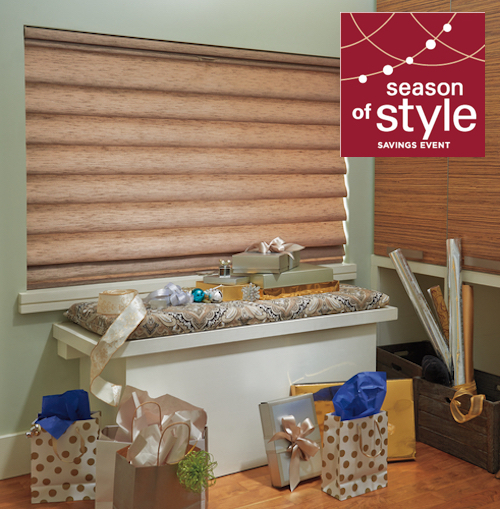 4 Hunter Douglas Sonnette™ Cellular Roller Shades to receive $100 rebate, plus $25 rebate for each additional unit. The soft, structured cellular shape creates a stylish finish to your window. 100% cord-free for enhances child and pet safety. 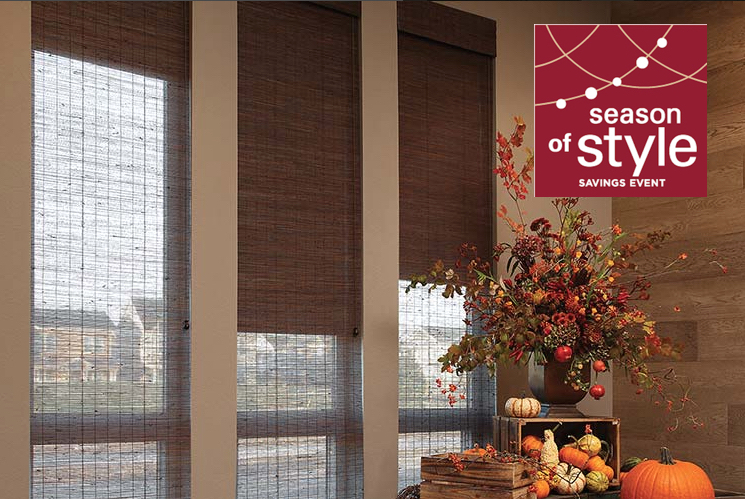 The TWG Fabrics & Home Decorating Center showcases the full-line of innovative Hunter Douglas window fashions on display. The newly renovated showroom features new lighting, furniture, and interactive motorized blind and shade displays to enhance your shopping experience. The grand opening of the new showroom will be announced during October. Choose fabrics that reflect the essence of the season on your soft furnishings, upholstery, window drapery, and slipcovers. Receive 25% OFF all fabrics at TWG Fabrics until December 21st, 2018. 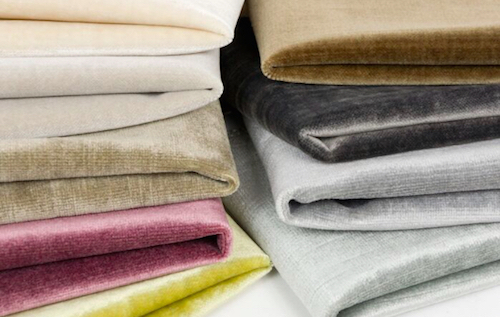 Transform the ambiance of your space with designer fabrics from TWG this fall. Improve the look of your home interior before holiday celebrations with family and friends start. A huge selection of stunning fabrics are on sale for a limited time. Rich warming colors and textured fall fabrics will add depth to your home décor. While you are relaxing at home, have a look at the fabric material around your space to see what can be interchanged seasonally and what needs a refresh. Contact us on our website or call 845-343-3423 to find out how you can elevate your home décor this Season and schedule your FREE design consultation.